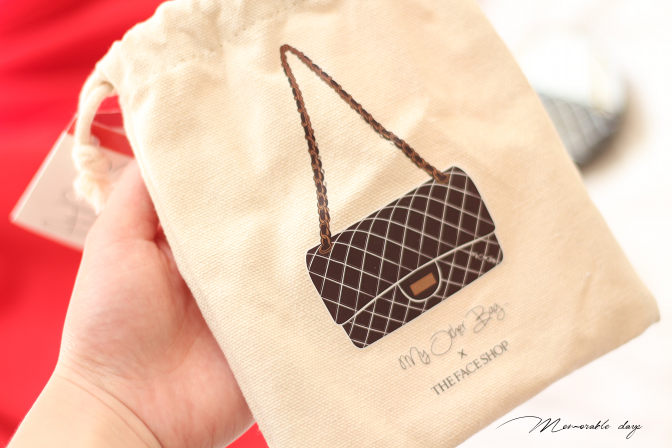 Review: The Face Shop CC Intense Cover Cushion My Other Bag | Memorable Days : Beauty Blog - Korean Beauty, European, American Product Reviews. The Face Shop collaborated with My Other Bag and created this CC Intense Cover Cushion with an unique design. I received this CC Cushion from BBCosmetic.com for review purposes and I got the one that's called Jackie. This one comes in 3 shades: V103, V201, V203 and today I will be reviewing shade V201 Apricot Beige. 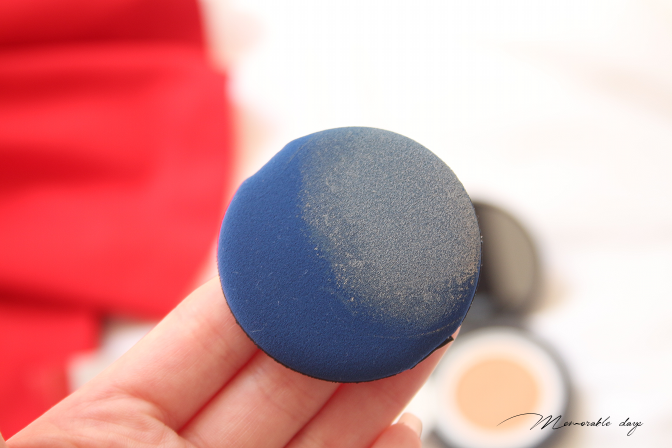 This CC Cushion is great to cover blemishes with, it contains SPF and has many more benefits. 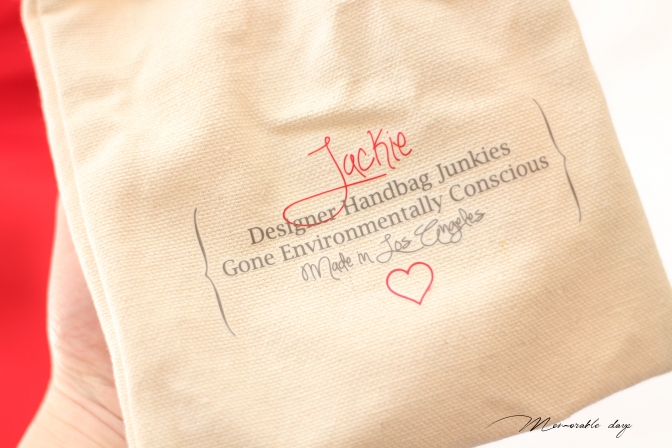 Want to know more about this CC Cushion? Keep on reading today's blogpost. I will also share a coupon code of 10% OFF in this blogpost! Take the puff and tap lightly for adhering. Tap more on the area where more coverage is needed. TIP! If you have used it for a while and you notice that there is almost no product anymore, flip the cushion and you can use it again. Otherwise, you can also purchase refills and put it in this case. This is shade V201 Apricot Beige. This CC Cushion has a light fresh fruity citrus scent (not overwhelming at all) and is for people with a yellow undertone. 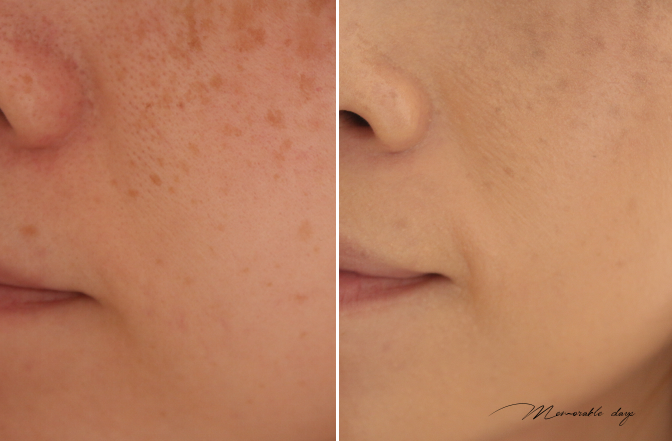 It has a medium coverage and is able to cover light spots or marks on the skin. You are able to apply more but it does look cakey if you do. As you can see below its able to cover up my spots lightly. It's still visible but not too obvious. It covers up my redness really well, giving it an equal complexion. This was sent to me by BBcosmetic.com for review purposes and they are selling it for USD $18,50. If you are interested in the ingredient list of this product you can have a look on their webshop. This webshop is selling products of many brands from April Skin, HERA, Holika Holika to VDL, O Hui and many many more. Check out which brands they have more here, their assortment is really large! If you are planning to get anything from that website, you can save some money by using my coupon code LZG213U03 to get 10% OFF! The reason why I wanted to try this CC cushion is because of the intense coverage that it promises and also because I haven't found a cushion foundation yet that I am really happy with. I love the idea that it's a cushion, it's easy to travel with, you can easily touch up your make up and just cover any blemishes that you have. 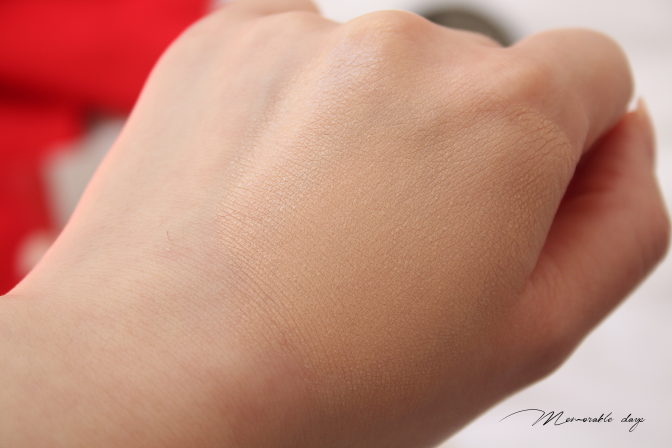 However, I found many cushion foundation way too cakey looking and too obvious that I have something on my skin. 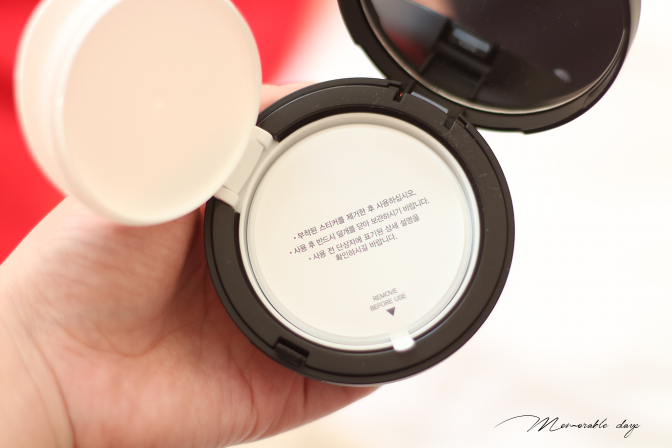 This CC Cushion from The Face Shop has an adorable packaging and is very easy to apply. 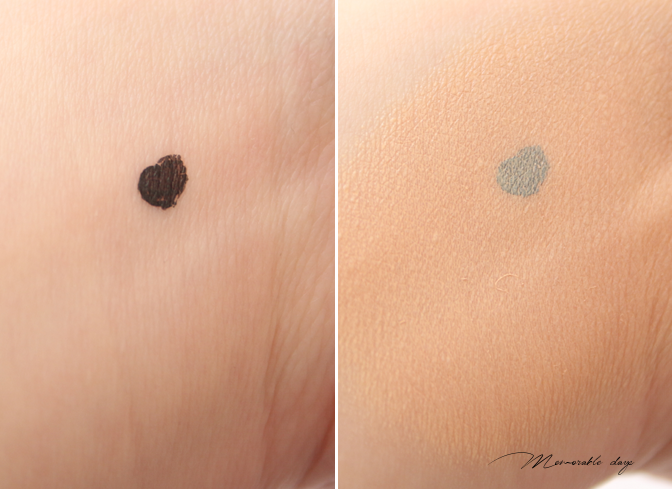 It's not patchy but just glides onto the face while applying and it sets pretty quickly as well. Once I applied it on my skin I notice how moist it feels and the medium coverage, but also the healthy glow finish that it gives. However, after half an hour I already noticed that my face was really oily on my combination dry skin. Unfortunately this CC Cushion can easily transfer on my clothing since my skin produces so much sebum after applying the CC Cushion. On the days when I apply powder on top of it, it does last longer but not for too long. Just within 2 hours I get quite oily again. I got to say that it really does do what it says but it's just not suitable for my skin type. Therefore I recommend this more to people with a dehydrated skin/ dry skin types. 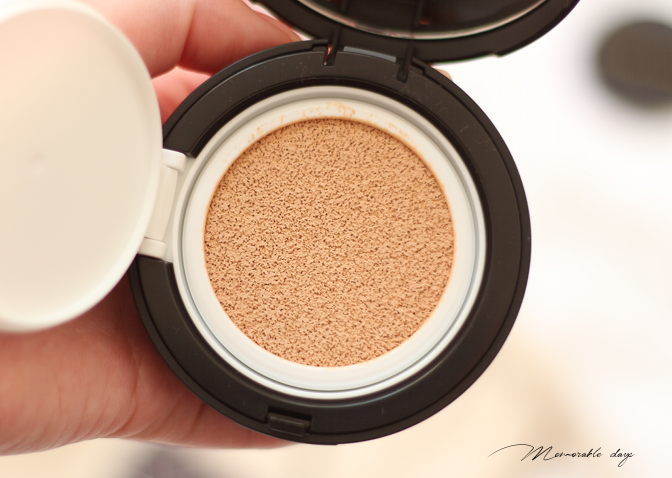 It moisturizes the face well, and if you are looking for medium coverage, this would be THE CC Cushion for you! However, if you have a combination dry/ oily skin type I would stay away from this CC Cushion, since you will be blotting your face the whole day, unless you don't mind being glowy all day.